Saturday was a long run day. My long runs are actually scheduled for Sunday, with a short run on Saturday, but I decided to flip flop it because I found it incredibly hard to motivate myself to run for a long time on Sundays. Not sure why. 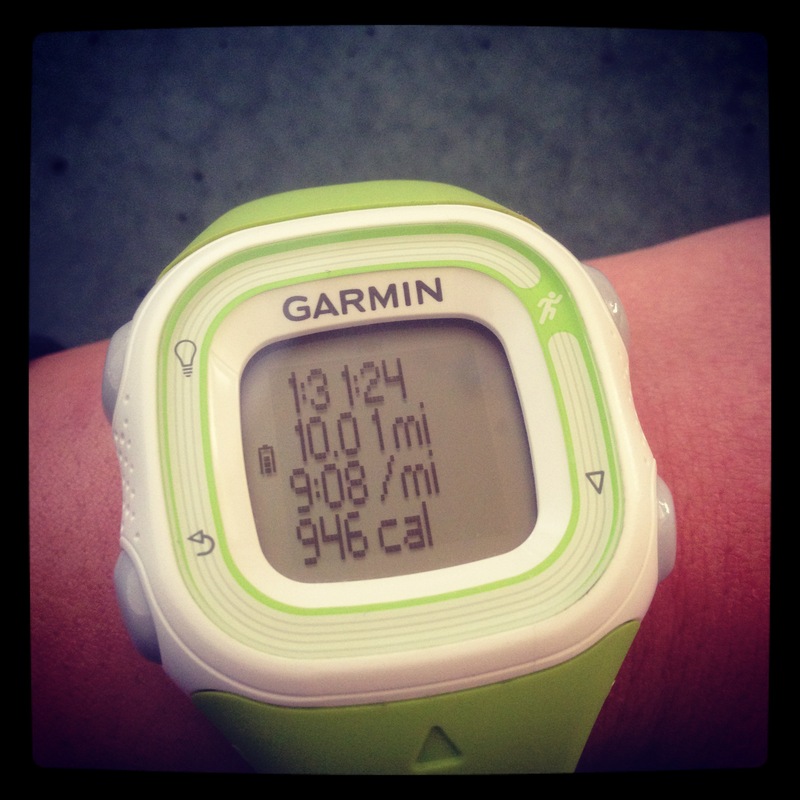 This run was supposed to just be a long run (10 miles). No speed work, tempo, etc. 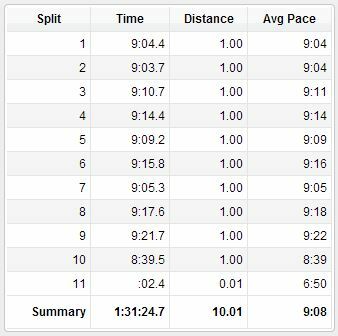 I decided to be a masochist rebel and do a pace run (run at my goal half marathon pace (9:09 pace)). I got started and didn’t think it would work out. My legs just felt stiff and tired. Oh well, I’d try my best. Around mile 5 my stomach started hurting. Bad. Like, move over cause I’m gonna blow chunks bad. I even had to stop around mile 6. I hate stopping. I kept chugging along, stomach aches and all. I barely drank water because I was afraid it would make me puke. Not my wisest decision. Also forgot to eat a gel. I don’t think I needed it, but I also forgot that I had one. Probably best that I didn’t eat it anyways, as it most likely would have came shooting out of one of my ends. TMI? I finished my run at Alamo Plaza, where I meet Kyle to get our Saturday bagels. I stopped my watch and didn’t even look at it. I just wanted to sit down. We walked up to the bagel shop and Kyle asked me what my pace was. I told him I didn’t know, and he got all excited and kept telling me to check. Not going to lie, I was pretty freaking happy. Lesson learned here kids: pizza is not good pre-race food for me. 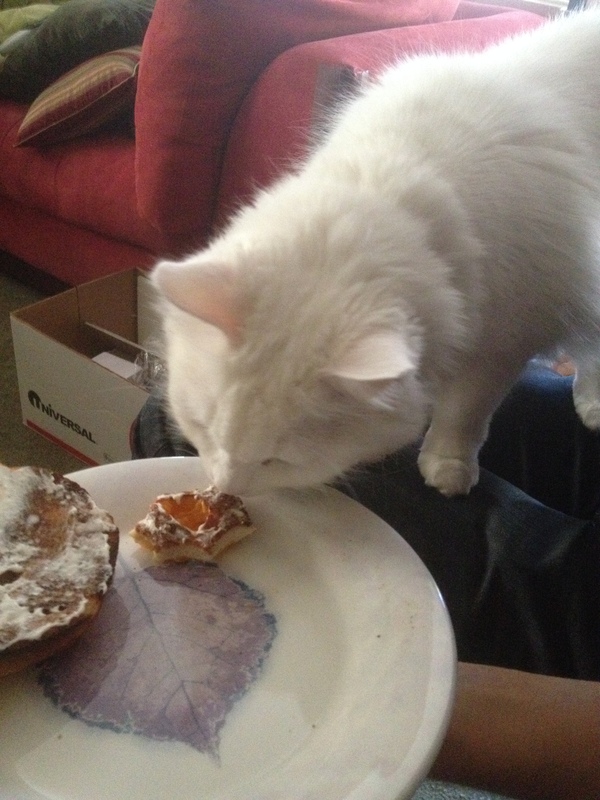 Anyways, after my run was, of course, bagels with Kyle. Skyler really wanted some…but I’m a mean mommy and wouldn’t let her eat any (her words, not mine). Any pre-race/run foods you cannot eat? 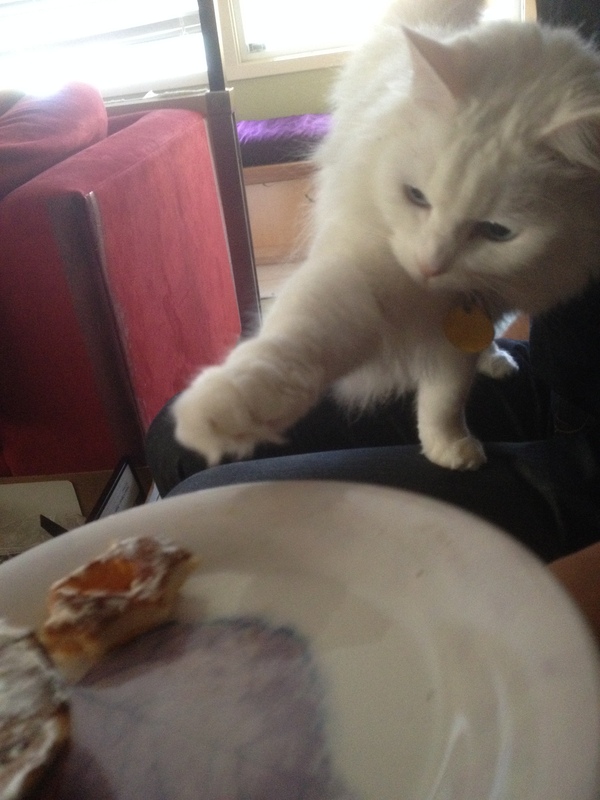 Do your pets try to steal your food? See picture above…oh and this same cat has been known to get her head stuck in cups because she wants your water or milk. Look at you!! Wow awesome pace and way to push through a long run despite the stomach troubles. That’s awesome! Aww thanks so much!! It was horrible but I was so happy when I finished because of my time! Twin you are going to ROCK the half!!! Seriously — I am already so excited for your recap. Too soon? And I’m drinking Nuun as we speak. Yup. Lol you’re the sweetest twin! I’m freaking pumped for the race! 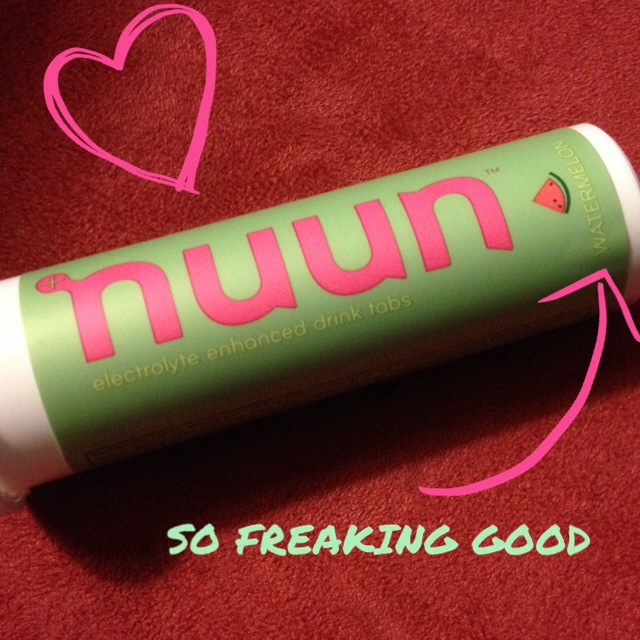 Nuun love- need to buy more ASAP! Wohoo! Congrats on your run and your pace, that’s fabulous! I DO NOT eat on the run. I just don’t do it. When it comes to running, I don’t have the strongest stomach. All ya can really do is live and learn sometimes! About pre-run food: I’ve had some unfortunate experiences with coffee, hummus, and cantaloupe. Aww thank you! You’re so sweet! Haha I could probably guess that hummus wouldn’t work well with me, not sure about the other 2! Isn’t it funny how wonky our tummies get while running?! Awesome run! 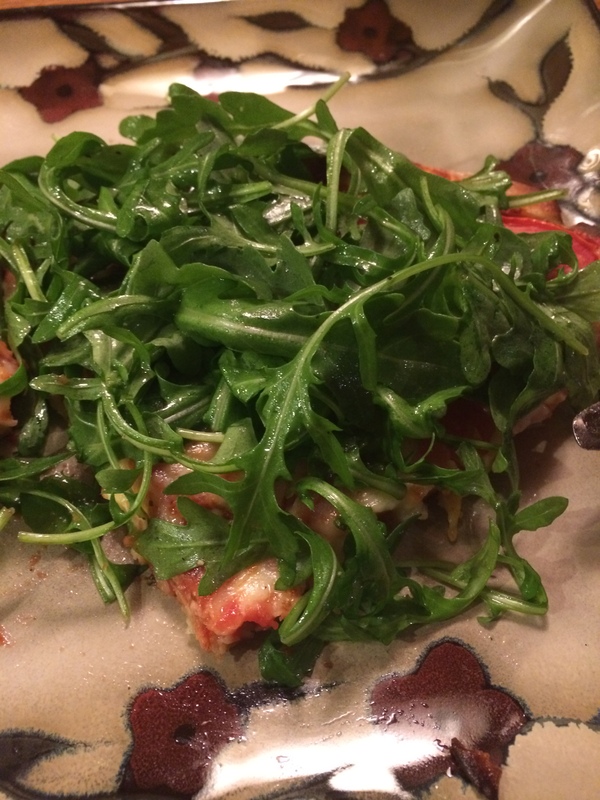 I cannot eat a lot of fibrous foods before a run/race. I tried spaghetti squash one time before a 20 miler and it was no bueno! Thank you! Haha yeah, I try to avoid fiber the night before a long run/race too. I don’t think spaghetti squash would have agreed with me either! Nice run! And look at that split on the last mile! No wonder you thought you were going to puke. I would pass out long before my legs let me waddle that fast! I’m glad you didn’t become a spout. I can tell my runs are not good if I eat not healthy stuff the day before.